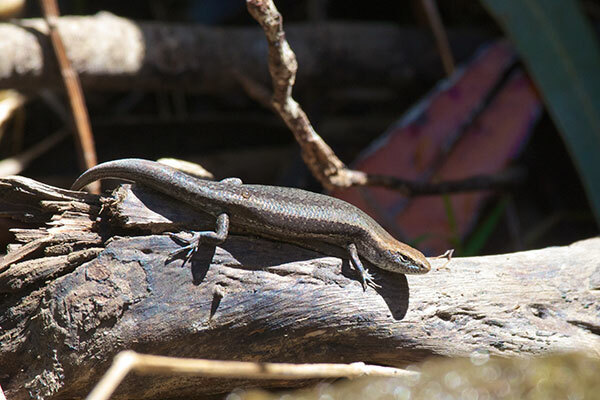 On my first day of this month-long trip to Australia, I only got a quick glimpse at this species, though it is one of the very common "backyard lizards" to denizens of the greater Sydney area. 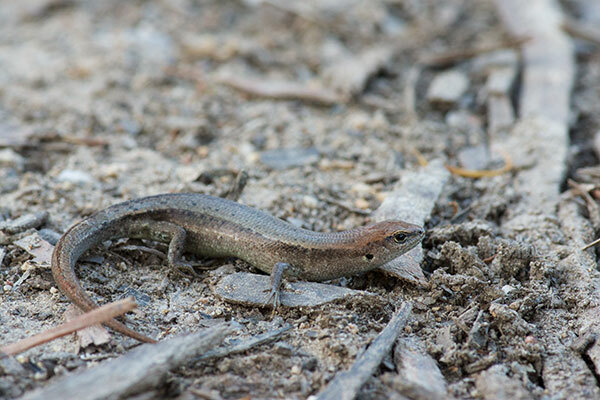 The other coastal city I visited on this trip was Adelaide, which also has a thriving population of Grass Skinks. I saw several of them scuttling about in patches of sun on a cool morning, but could only manage a few mediocre long-distance photos. On my last day of this month-long trip to Australia, I finally got a good look at one of these guys sitting still in an open area. 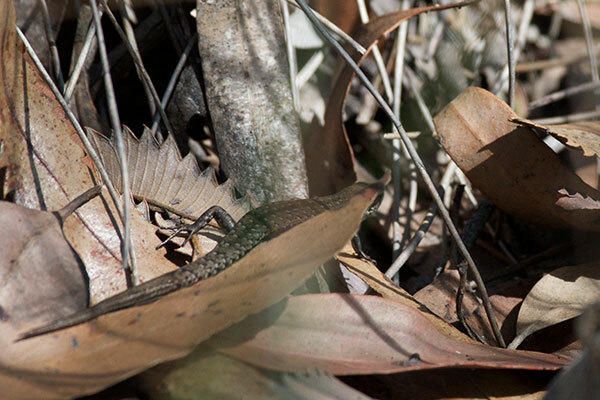 Behold, the not-at-all majestic Grass Skink!